Kjøllefjord kirke er en langkirke fra 1951 i Lebesby kommune, Finnmark fylke. 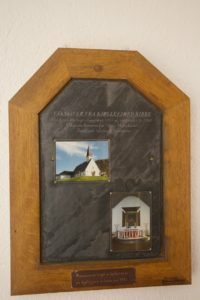 Den er bygget i stein og har 300 plasser. 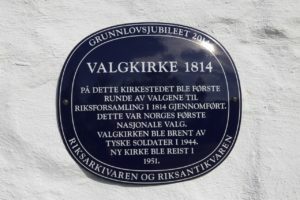 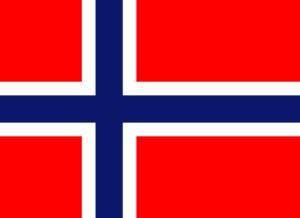 Kirken er en gave fra Danmark etter krigen, og var den første kirken som ble gjenreist i Finnmark etter krigen. Den f orrige kirken i bygden ble brent under nedbrenningen av fylket i 1944. 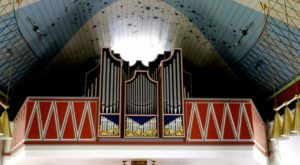 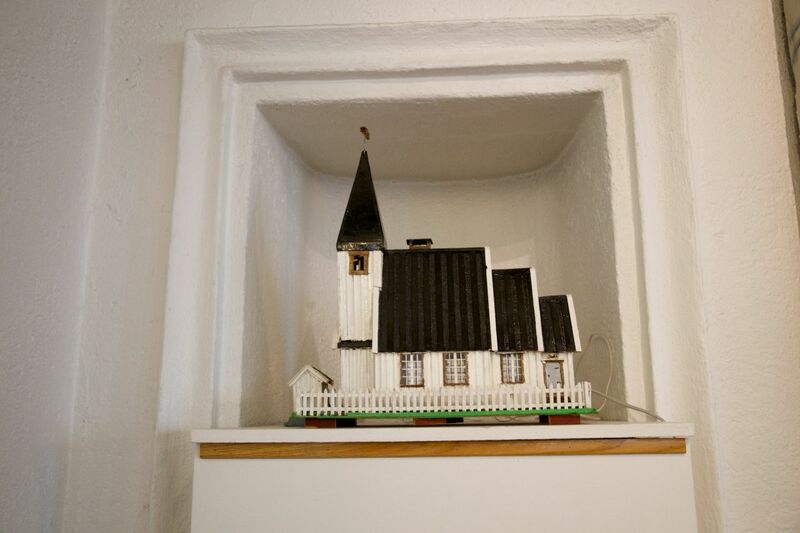 Arkitekten Finn Bryn tegnet i samme periode også Kautokeino kirke o g Molde domkirke. 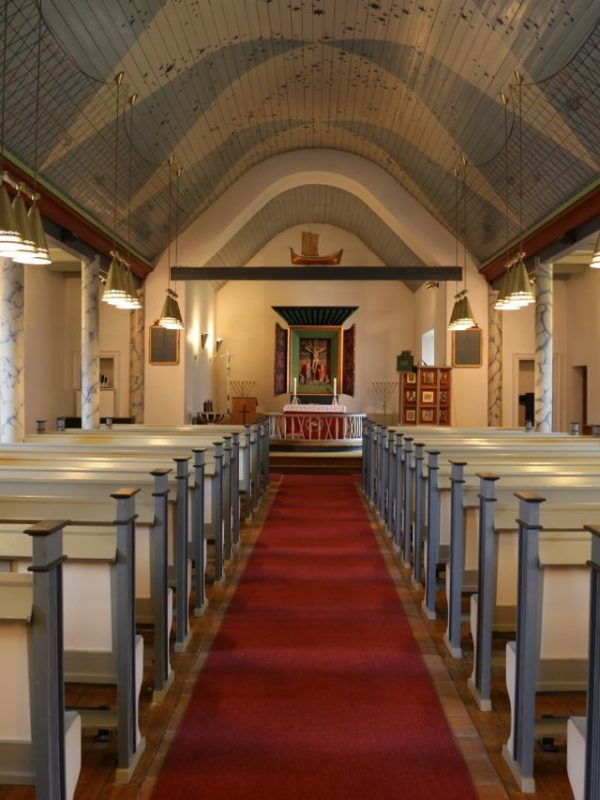 Kjøllefjord church is a long church from 1951 in Lebesby municipality, Finnmark county. 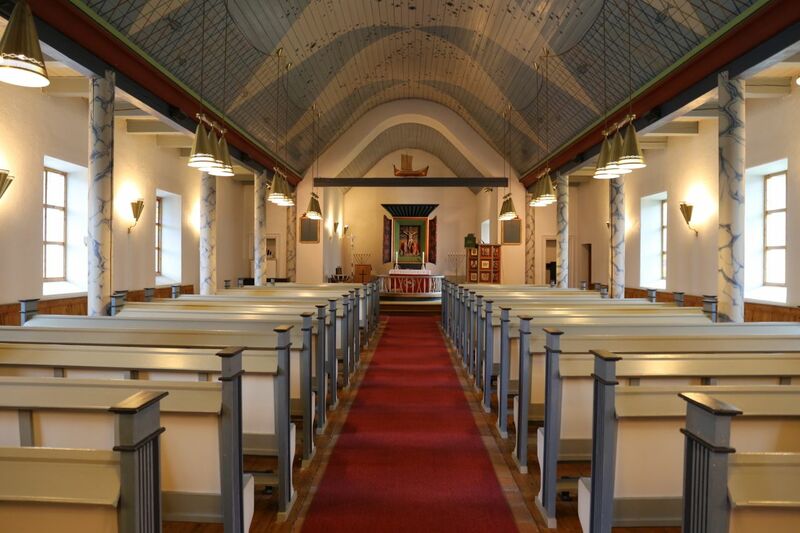 It is built in stone and has 300 seats. 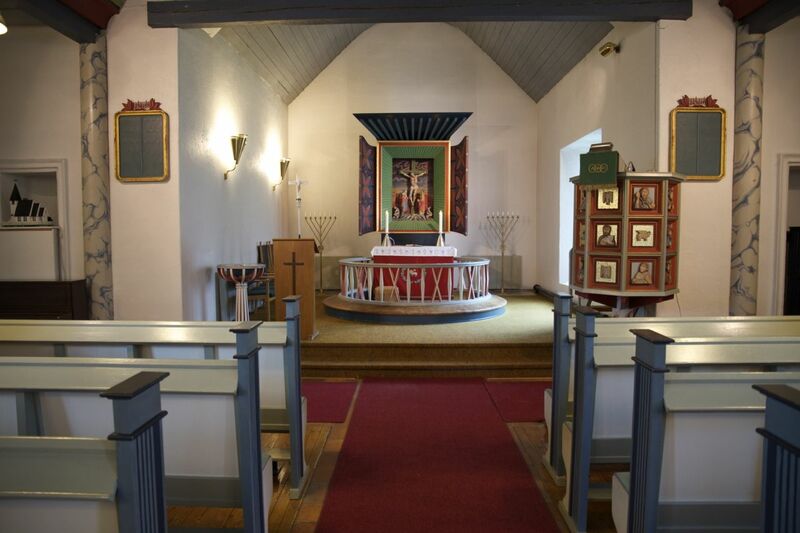 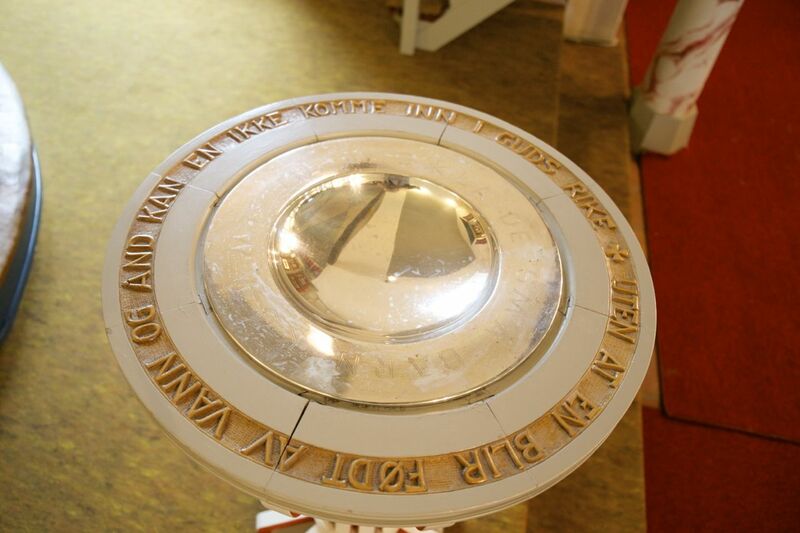 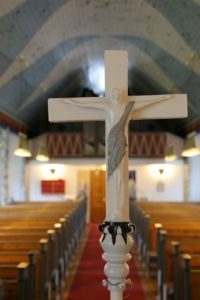 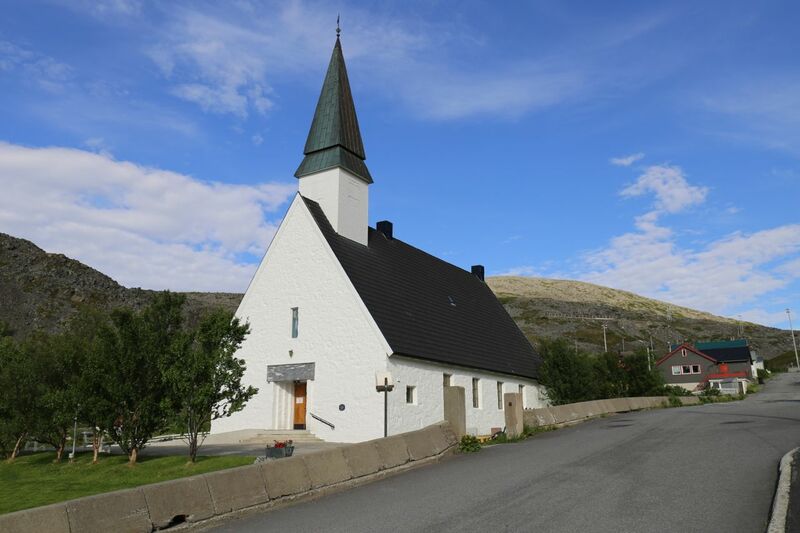 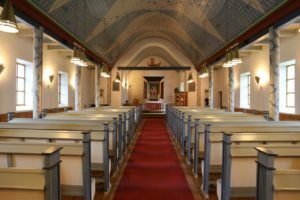 The church is a gift from Denmark after the war, and was the first church rebuilt in Finnmark after the war. 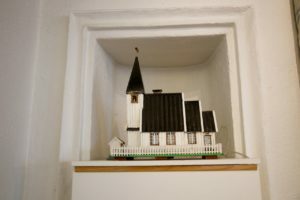 The former church in the village was burned during the decay of the county in 1944. 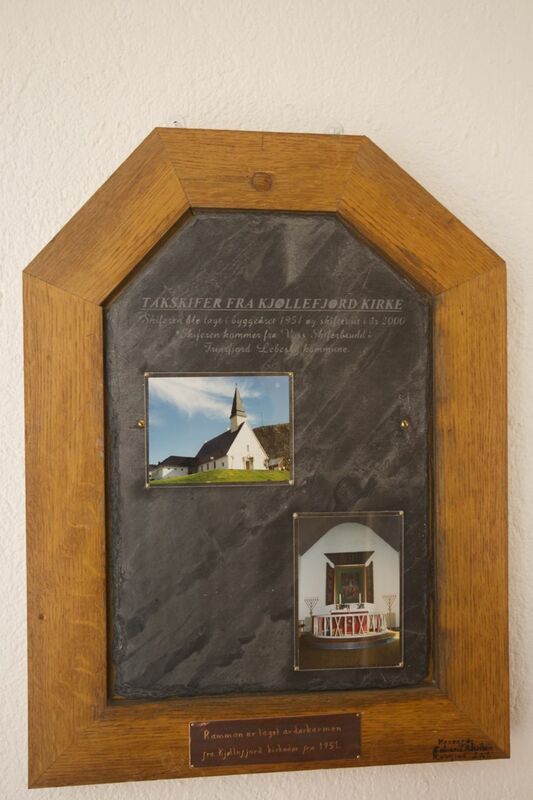 The architect Finn Bryn also designed Kautokeino church and Molde cathedral in the same period. 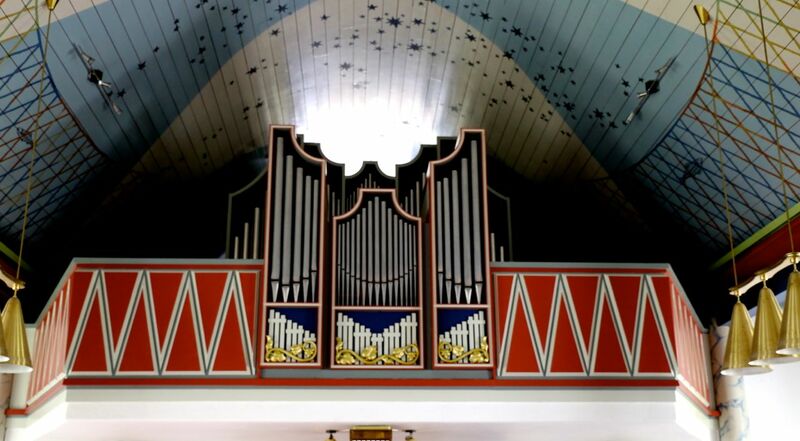 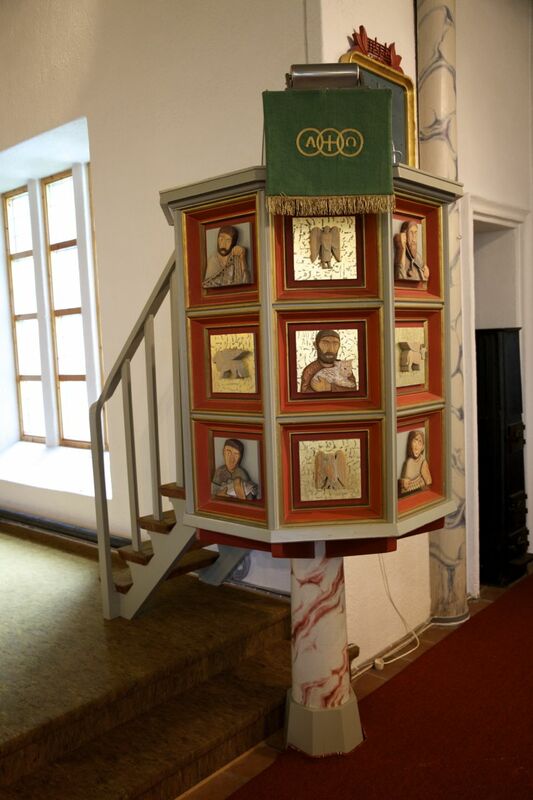 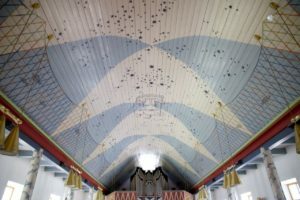 The roof of the church ship is decorated with a roofing painted by Carsten Lien. 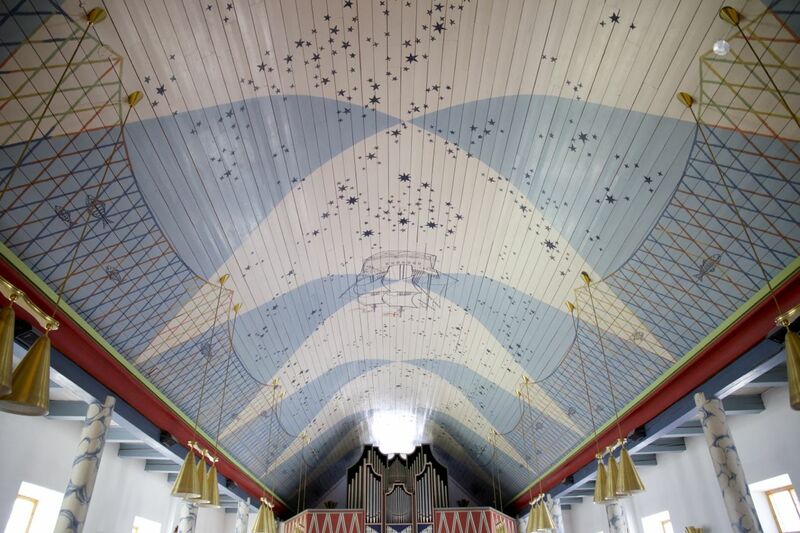 The painting represents fishing nets and stars, with the outline of a ship in the background. 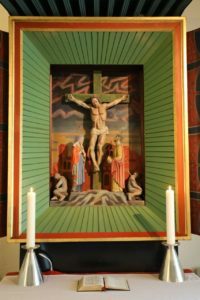 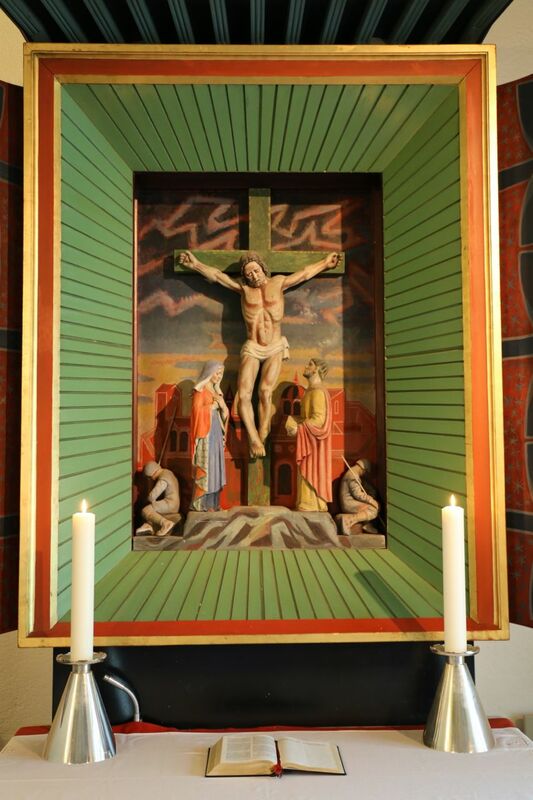 The architect and Lien collaborated with the wooden caretaker Hanna Jessen to create the altarpiece, which shows Jesus on the cross. 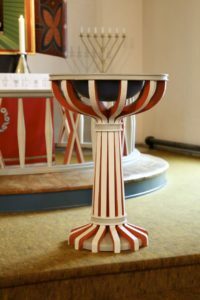 The architect also designed both the pulpit and the baptismal font.